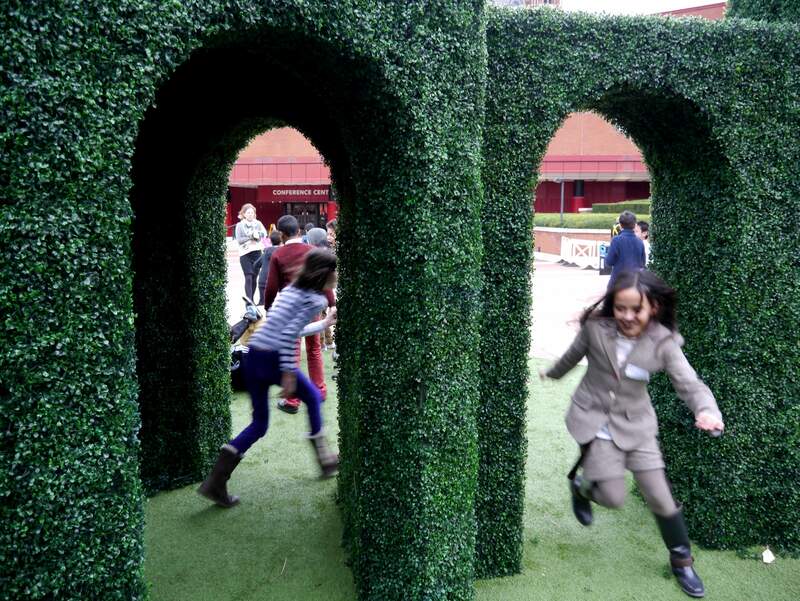 Garden installation in the British Library's piazza to compliment the exhibition, Georgians revealed: Life, Style and the making of Modern Britain. Funded by The Sackler Trust. Temporary and pop-up gardens and pocket parks are becoming an increasingly familiar part of the urban landscape, responding to the demands of population density in cities and the necessity for dynamic and flexible green design. 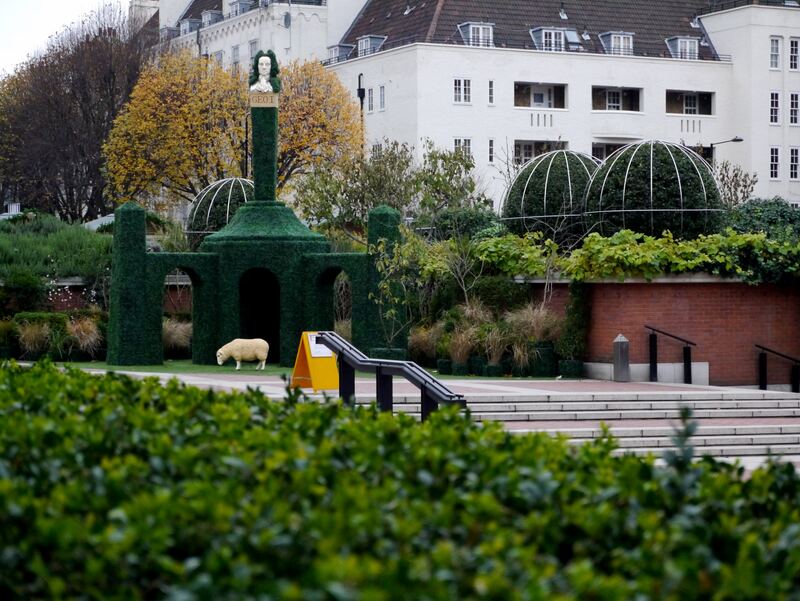 Yet as the Georgeobelisk reveals, the notion of ephemeral gardens is nothing new. Drawing inspiration from ephemeral gardens in the Georgian era, the installation draws a parallel between past and present, revealing the different ways these spaces have been used to engage, educate, entertain, and provide respite from the pressures of daily life. 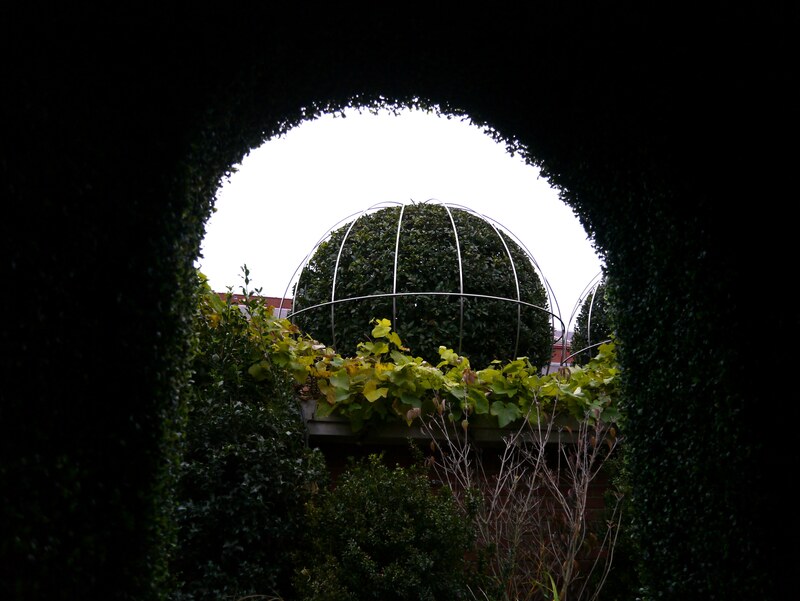 As a postmodern vision of an Arcadian landscape, the installation mixes serious historical research with an air of kitsch, creatively achieving a balance between natural and artificial elements. 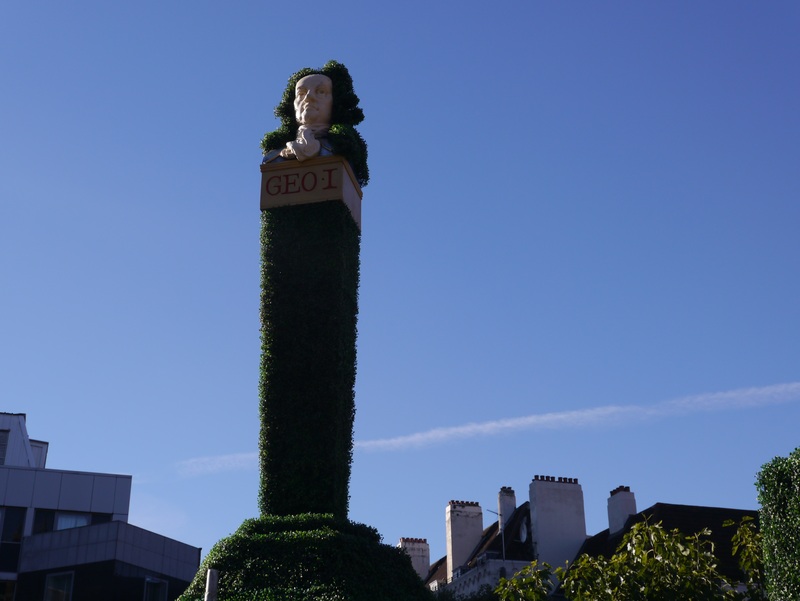 The six metre high eye-catcher, covered in faux buxus, evokes the playfulness of temporary theatrical constructions that were popular during the Georgian period to mark special occasions or important historical events. The three structural obelisks on the Hawksmoor inspired pavilion, denote George II, III and IV. 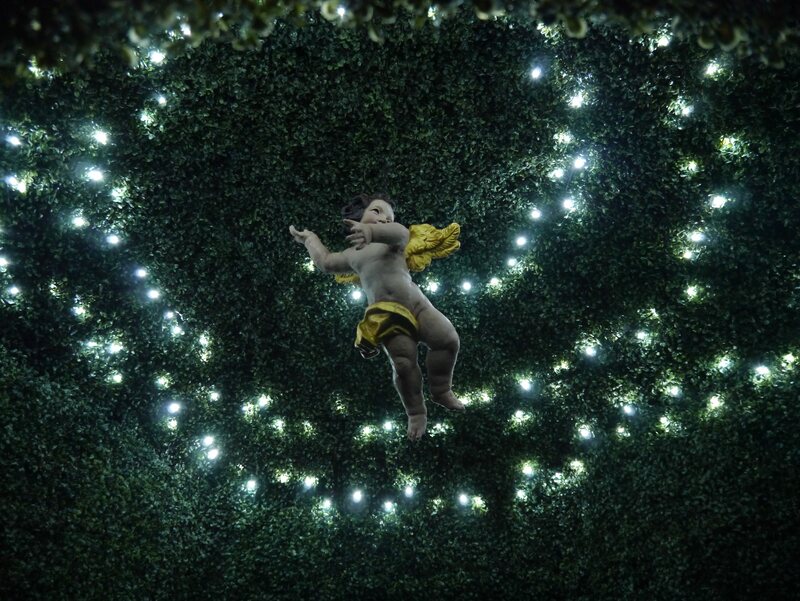 They converge at a central plinth crowned with a plaster bust of George I, whilst suspended inside is a celstial putto representing the most recent Prince George (born 2013). 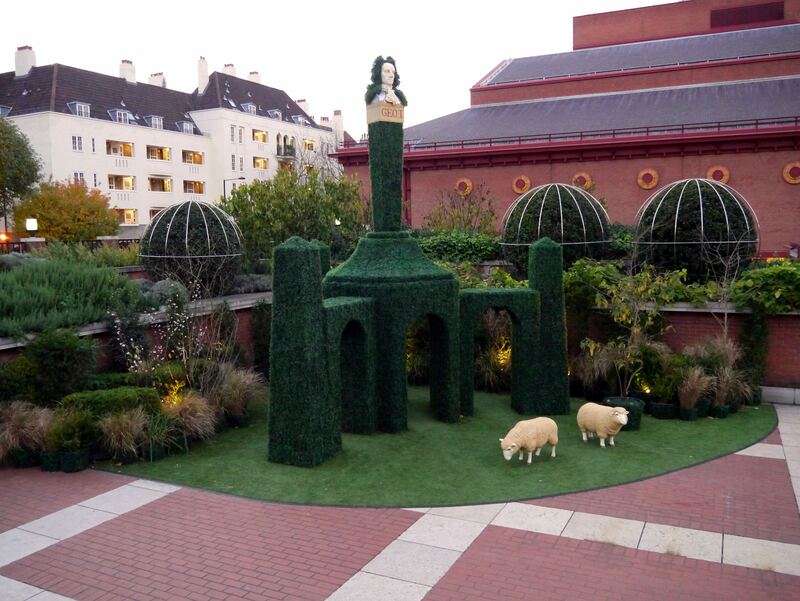 The setting of the Georgeobelisk is intended to convey the character of one of the Georgian period's finest artistic achievements, the 18th-century landscape garden, complete with sheep grazing on artificial turf.